Norfolk Aviation Can Sell Your Aircraft at Top Dollar! 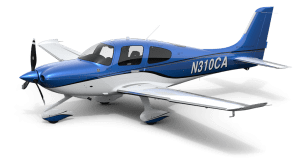 Recently, Cirrus officially introduced their new generation of SR-series piston singles — known as G6 — that add a long list of new capabilities and features to this year’s model aircraft, including the new Perspective+ avionics system, based on Garmin’s recently -launched G1000 NXi platform. According to Flying Magazine, who experienced the 2017 SR22T on a number of long cross-country trips, the Perspective+ avionics stand out as some of the most important upgrades in the history of the SR series introduced in the late 1990s. Pilots are sure to appreciate these features, including animated Nexrad weather graphics, a qwerty-style keyboard, a handy HSI map overlay on the primary flight display, the ability to choose IFR visual approaches from the procedures menu that mimic the guidance cues of precision approaches, improved connectivity for flight plan and database uploads, and a crisper, cleaner overall look. The new Garmin avionics system is also much faster due to a marked increase in processor speed and computer memory, advances that have allowed developers to bring a majority of the capabilities from the G3000 and G5000 avionics systems to Perspective+. In addition, the G6 models add new Spectra LED wingtip lights designed by lighting specialist Whelen Engineering along with courtesy lights underneath each wingtip, on each step and even in the baggage compartment. The exterior lights automatically turn on and will stay on until after takeoff when reaching 200 feet agl. The lights then automatically come back on while landing passing 200 feet agl. In aircraft equipped with a yaw damper, it automatically engages and disengages at 200 feet agl with no pilot input required. Accoridng to Tom Simmons, president of Cirrus customer experience, G6 is the most innovative, capable set of upgrades offering the most features that has ever been applied to the entire SR product line. “Comprehensive” is the word that best describes the depth of all the improvements in G6 as the completely redesigned and fully integrated user interface. Not to mention, the lightning-quick speed of the brand-new Cirrus Perspective+ flight deck is noticeable from the moment you power up. Perspective+ instantly adds some game-changing capabilities to G6 — from connectivity to safety to navigation — and gives owners and operators a really elevated ground, pre-flight, cabin and in-flight experience. Despite all the added technology, prices for the G6 models haven’t gone up much. An SR22T GTS model that includes most popular options, including icing protection, carries a list price of $862,900. A similarly equipped SR22 lists at $762,900, and the SR20 GTS is $564,900. If you’re ready to get involved in the aviation world, Norfolk Aviation is here to help. Our dedicated sales team will walk you through the purchasing process and make buying your used airplane easy and worry free. Browse our unmatched inventory of used aircraft and contact us at 757-724-6047 get started!